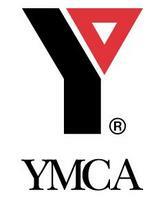 Young Men's Christian Association or YMCA is a reputed organization serving over 58 billion people through 125 nationally accredited associations. The organization started functioning since 1844, from London. Their main aim is to preach and take initiative to promote and practice principles of Christianity and even inspire to develop healthy spirit, mind and body. Their logo in the form of a triangle even denotes the same. A number of local YMCA units are even voluntarily affiliated through their respective national organizations. World Alliance of YMCAs and Area Alliance are sections of the national organization of YMCA. The headquarter is located at Geneva.